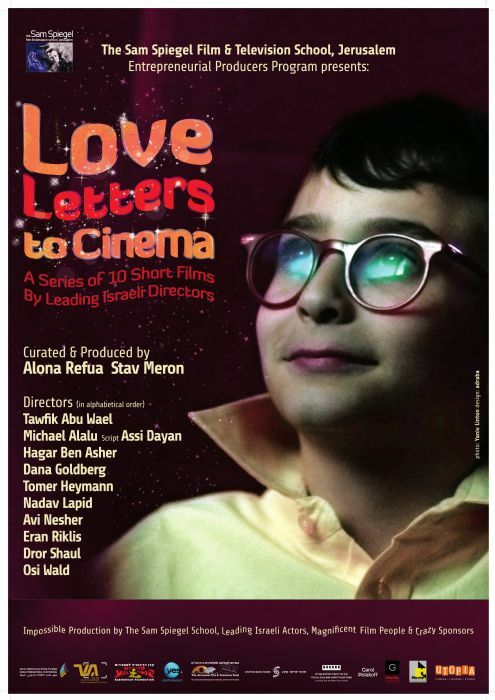 Love Letters to Cinema is a collection of ten "letters" in the form of short films (4 minutes each), written and directed by ten outstanding Israeli directors. The films and the directors conduct a dialogue, whereas the directors create a short film with their unique voice, bringing to the audience a group of work that reflects on cinema. Love Letters to Cinema is a true collaborative effort. Alongside the directors, over 300 industry professionals and students from the Sam Spiegel school volunteered to take part in the project, whereas their mutual love of cinema creates a colorful and powerful project.